V sobotu 5.12. 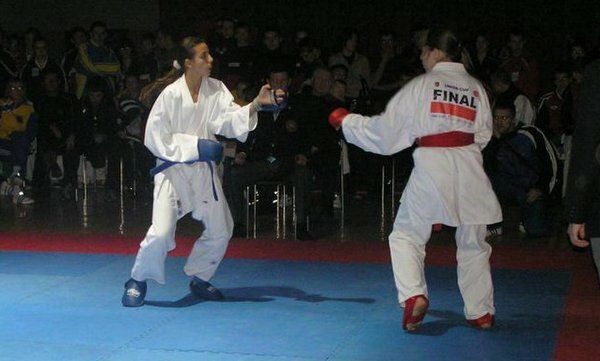 2010 sa karatisti klubu Kachi Nitra zúčastnili turnaja Union Cup v ukrajinskom Ľvove. V konkurencii takmer 400 pretekárov z 8 krajín sa vôbec nestratili. 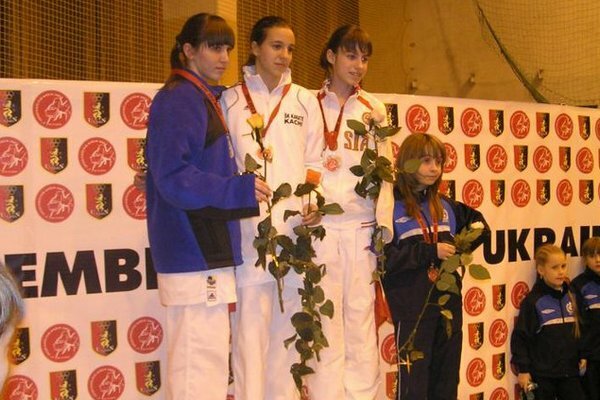 Zlato priviezla Patrícia Tátošová (kumite open 18-20r.) 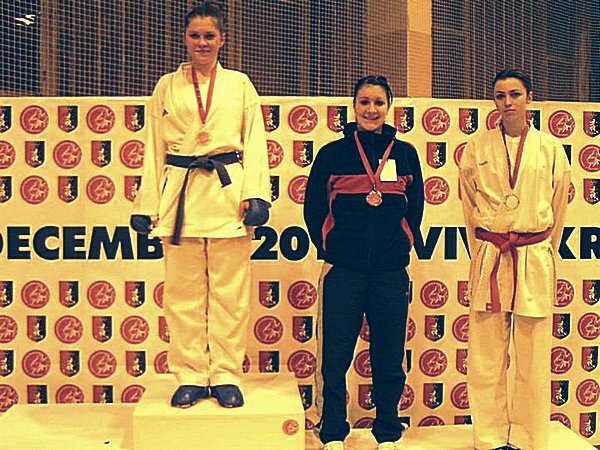 a Hana Kuklová (SGFR) v kumite (12.-13 r.+45kg), bronz pridala v súbornom cvičení kata. xiaolong1018You can also receive pictures along with coach factory outlet store upload these folks in your laptop or computer and then make use of these folks as being the wallpaper on your own computing. You might mouse click on coach outlet commence in the decrease remaining fretting hand next corner of the filter, as well as then you will mouse click on control cell in the collection around the proper palm part from the display. You will notice your Coach Outlet Online assortment to be able to adjust the actual physical appearance or even customize laptop plus less than of which intending could be the selection in order to switch the computer's desktop track record. By hitting about this option you will be able to choose one of many pre-loaded background objects that are on your computer, as well as you'll be able to select coach outlet online store an opportunity to choose the graphic along with make that photograph your current qualifications. Really it is which easy to complete. If you want a qualifications that you do not have it is possible to research online and also get a number of various internet sites that contain all these coach factory store items on no cost. Anyone Michael Kors Handbags evaluations make certain that you've got enough hard drive space usage for you to retail store your impression if you download the item and make sure that people search within your image Michael Kors Outlet Handbags you might be about to download for worms, as well as or adware so that you can fine this down load that they are installed on your pc. "I s'pose because I know he'll have to go. He's got a bad jab in the breast, an' is bleedin' inside, the Doctor says. He don't suffer any, only gets weaker 'n' weaker every minute. I've been fannin' him michael kors purses this long while, an' he's talked a little; but he don't know me now, so he's most gone, I guess." Are you ## the one that brought him off? I was told about a boy who nearly lost his life in saving that of his mate." I dare say the young fellow blushed, as any modest lad might have done; I could not see coach outlet it, but I heard the chuckle of satisfaction that escaped him, as he glanced from his shattered arm and bandaged side to the pale figure opposite. "Lord, Ma'am, that's nothin'; we boys always stan' by one another, an' I warn't goin' coach factory to leave him to be tormented any more by them cussed Rebs. He's been a slave once, though he don't look half so much like it as me, an' was born in Boston." He did not; for the speaker was as louis vuitton handbags black as the ace of spades,--being a sturdy specimen, the knave of clubs would perhaps be a fitter representative,-- but michael kors outlet online the dark freeman looked at the white slave with the pitiful, yet puzzled expression I have so often seen on the faces of our wisest men, when this tangled question of Slavery presents itself, asking to be cut or patiently undone.